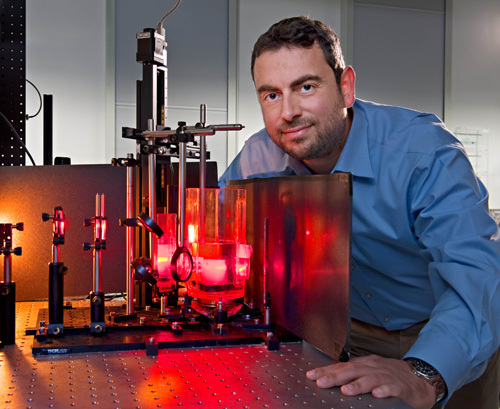 Dr. Vasilis Ntziachristos, Editor-in-Chief of the new Elsevier journal Photoacoustics, has been named one of 2013 recipients of Germany’s prestigious Gottfried Wilhelm Leibniwz Prize . Dr. Ntziachristos began his studies in his homeland of Greece at Aristotle University in Thessalonica. He went on to earn an MSc and PhD from the University of Pennsylvania, studying in the Department of Bioengineering. He was then an assistant professor at Harvard University. Since 2007, he has been a professor of biological imaging at the Technical University of Munich and is also Director of the Institute for Biological and Medical Imaging at Helmholtz Zentrum Munich, the German Research Center for Environmental Health. Can you tell us a little about your research in biological imaging and its application? My research focuses on the investigation and translation of novel imaging approaches to solve unmet needs in life sciences. For example, we daily observe how, despite our technological progress, physicians such as surgeons or endoscopists make clinical decisions using only their eyes, the same way it has been done for the past 3,000 years. We want to engineer the photonic tools of the future that will bring in a new era in biological and medical imaging. Current optical imaging or optical microscopy methods typically allow only a small part of disease to be visualized. Novel technologies, such as the ones represented by the journal Photoacoustics, mean that for the first time it is possible to enable high-resolution optical interrogation deep inside tissues bringing a new era of optical observation. Volumetric optical imaging in-vivo — that is, non-invasive optical imaging of large tissue volumes beyond the limits of human vision or microscopy — can shift the paradigm of biological discovery and medicine. Established in 1985, the Gottfried Wilhelm Leibniwz Prize provides funding to improve the working conditions of outstanding scientists and academics. The money can be used to expand their research opportunities, relieve them of administrative tasks, or employ young researchers. A maximum of €2.5 million ($3.2 million or £2.2 million) is provided per award. In particular, we have developed a method termed Multi-Spectral Optoacoustic Tomography (MSOT). This method offers cross-sectional high-resolution optical imaging of tissue molecules through several millimeters to centimeters of tissue achieving video rates. MSOT has been the outcome of research by multiple scientific disciplines; bridging the disciplines of physics, engineering, biology and medicine is central to all our activities and enables an interesting interface prone to innovation. How is this award different from other funding awards you have received? During my student days I was fortunate to receive small-scale funded awards, typically offering minor research grants and prizes. As a professional, I have received more substantial funding awards. However, the Leibnitz Prize comes not only with important scientific distinction but with the ability to invest substantially in a manner that is not linked to a particular proposal or guidelines. It therefore provides excellent opportunities for true scientific freedom and “blue sky” research. Have you already formulated a plan for the funding? I envision using the Leibnitz funding to build infrastructure associated with bioengineering activities in Munich and attract young talent to promote basic research and clinical translation. Of course, I also plan to reserve a small part for administrative tasks, particularly those associated with regulatory approvals required for bringing new technology to biology and medicine. You recently became editor of Photoacoustics, which publishes original research and review articles in the fast-growing field of photoacoustics (optoacoustics) and thermoacoustics. What has led to this growth? This field brings together the best of two worlds: optical contrast and ultrasonic resolution. It is a true hybrid modality, and although still optical in nature, it solves, for a significant part, the limitations of previous optical imaging methods. In both biological discovery and medicine, optical methods are extremely important. The emergence of a tool that fundamentally improves upon this modality generates significant excitement and offers solutions to many current challenges. Can you tell us a little about your involvement in setting up the journal and what you hope it will achieve? I was highly motivated to establish this journal. The scientific world is overwhelmed by journals and I myself have been very critical about generating new ones. 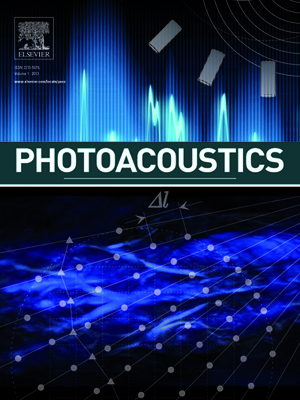 However, photoacoustics is fundamentally a new topic that needs dedicated representation to support growth and encourage impact on different applications. Our aim with Photoacoustics is to not only create a forum to publish the most recent and exciting developments, but to generate a sense of community. Already the journal has been embraced by many leaders in the field, and I am very thankful for the warm welcome and the excellent suggestions we have received on how to grow it in the coming years. Do you anticipate that the Leibnitz Prize will have an impact on your work on the journal? There is no direct relation between the award and the journal. Of course, the new funding will advance Multi-Spectral Optoacoustic Tomography (MSOT) towards biological and clinical applications. By showcasing application advances in these fields, we anticipate increased interest and faster adoption resulting in more papers submitted to Photoacoustics. 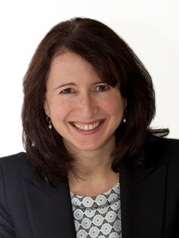 As Academic Content & Communications Manager for Elsevier, Linda Willems oversees the Editors’ Update website, a resource center designed to keep editors in touch with the latest developments in journal publishing, policies and initiatives. The site also hosts the quarterly Editors’ Update newsletter, for which she is Editor-in-Chief. Willems, who is based in Amsterdam, is also on the team behind the Elsevier Journal Editors’ Conferences program.